The book down-noted is given to me 20 years ago from Papakura Daihatsu in NZ.Still I have it. Over 20 year old any used cars are exempted from NZ regulaion such as frontal impact and emission standards, I am versed with over 20 year old used cars in Japan. 1990/Jan/Feb or soemthing—I am not familiar with month. 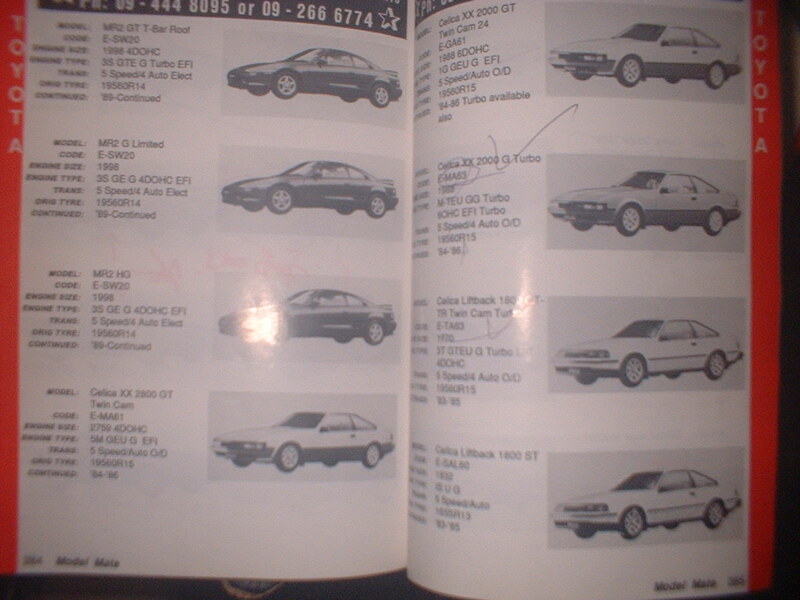 In 1990 I exported used cars alarady thoese days to NZ. No frontal impacts, No emission standards thoese days. I started used car export business very long time ago 1970s at firt time. nostalgic cars are not displayed in Japan professional used car auction, instead mania owns such cars such as CRX-EF8 b16A, A175A lancer turbo, Integra B16A DA6, DA7 is pretty hard to secure–longer time to find it out. 85-honda CR-X model-AS 1.6G ,ZC-engine. I used to export familia turbo to NZ tons. Those days speed meter tons would up, because NZ used car importer said to me that they never ever buy used cars from me withou wound up. Now impossible to wound up used cars as NZ bound. AE86 is topic I know already. 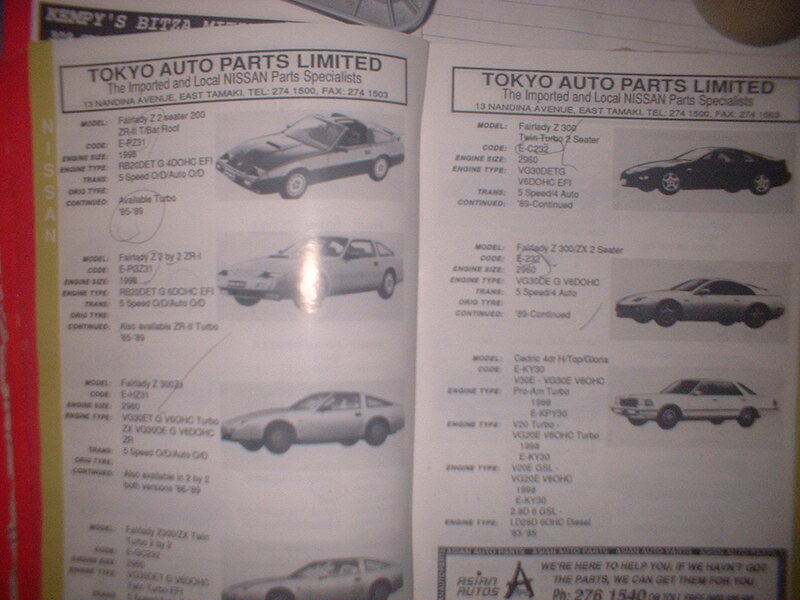 Unless you pay fob Japan Yen500,000.- you must repair AE86 sooner or later. I exported tons so far, AE86 Aus and UK. If junk condition, fob Japan Yen350,000.- to Yen380,000.- but lots reapir down there is wating for you. This entry was posted on March 5, 2010 at 1:28 am and is filed under automotive, autos, cars, cars for sale, export, FOR SALE, for sale, forum, honda, honda, import, integra, integra, japan, japan, japan, Motoring & Motorcycles, review, sale, SALES, sports cars, tokyo, tokyo, used, used, vehicles with tags 1986, 1987, 1988, 1989, 20, auckland, australia, B16A, Brisbane, broker, car, classic, clearance, compliance, customs, DA6, DA8, emission, for, frontal, honda, impact, import, imported, integra, japan, melbourne, new, NZ, old, regulation, sale, secondhand, standard, used, vehicles, XSI, year, zealand. You can follow any responses to this entry through the RSS 2.0 feed. You can leave a response, or trackback from your own site. If you already know the make and model of the car you’re interested to purchase, the only thing left to do is to go to those car listing website, search through their database, check out the car prices they have there and compare the car prices they have with the ones in other websites. Don’t forget to compare the car prices with the local car dealer and used-car dealer too, just for good measure. You’ll be surprised, sometimes, the local car dealer may have better car prices for you. if not, perhaps the used car dealer may have a fabulous deal in store for you with a car with an unbelievable price and in perfect condition (not the banged-up, knocked-around, and shabbily fixed-up) kind.